Spend an informative afternoon in the kitchen with pastry chef Barry Marcus, perfecting the skills of creating stunning French almond macarons, each filled with a distinctive ganache. This hands-on class will use the proper techniques for blending the batter and creating perfectly domed and footed sandwich cookies to make cocoa macarons with raspberry sour cream ganache, espresso macarons with cappuccino ganache, green tea macarons with matcha-white chocolate ganache, plus lemon macarons with lemon-star anise ganache. Each student will take home a sample of macarons. 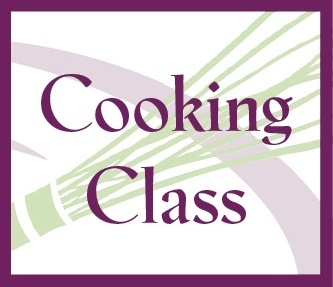 This class is offered again on August 4.